OPenED november 30, 2018!! - Come see it now! 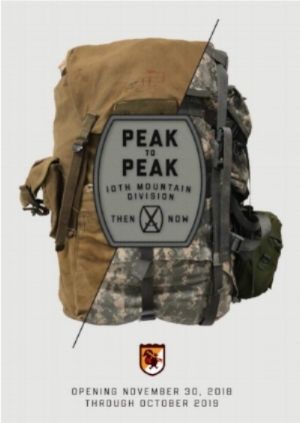 The exhibit will highlight the evolution of the 10th Mountain Division's equipment and training since its beginnings in 1943 to today. The idea for US mountain troops was borrowed from Finland and Russia and brought to the Army at the start of World War II by C. Minot "Minnie" Dole. Dole also founded the National Ski Patrol, and drew heavily on its membership to populate the mountain division. The 10th did most of its training at Camp Hale, Colorado before deploying to Italy to help close the Italian front and end the War. The Museum worked closely with the 10th Mountain Division and Fort Drum Museum to prepare this exhibit. Additionally, the Museum relied on the Vermont National Guard and Army Mountain Warfare School, based in Jericho, Vermont, for information on how they train elite Army soldiers from all over the country in military mountaineering. 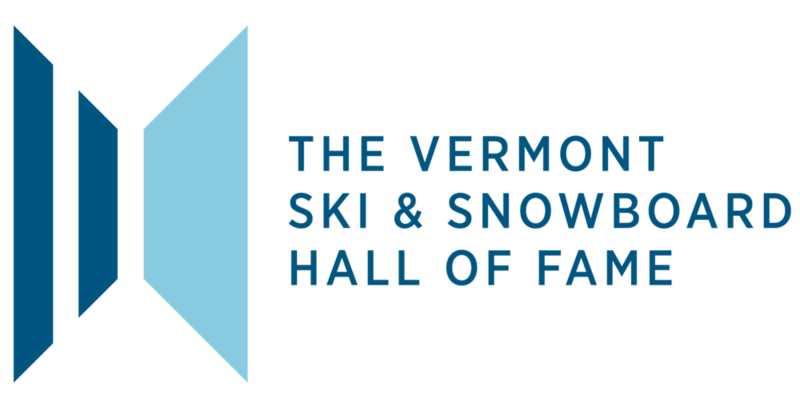 Vermont played a critical role in the development of snowboarding in the early years as Burton, originally based near Stratton and then Burlington, grew from a nascent obscurity to a global powerhouse. With their spark, snowboarding took off in Vermont. Riders from Vermont became global hero's like Jeff Brushie, Ross Powers and Tara Eberhard while riders from around the world came to Vermont for the annual US Open of Snowboarding. All-in-all, it was an incredible time for the sport and the world's best snowboard photographers were in Vermont getting it all on film. Featuring over 60 images from 14 photographers, including Trevor Graves, Bud Fawcett, Shem Roose, Hubert Schriebl, Jeff Curtes and others. Images span from early 1980’s to the 2000’s with an emphasis on the athletes at the US Open at Stratton. Relive the sports most transformative years when half-pipes went from rough trenches to groomed vertical walls, boards went from edgeless plywood to ultralight composites and riders went from obscurity to global fame.